Where did the last 6 days go?? My apologies for the incredible long delay in updating this blog. Since I arrived Monday afternoon (Sept. 20) it’s literally been non-stop. The bed is so comfy in my room, but I hardly get to experience it. 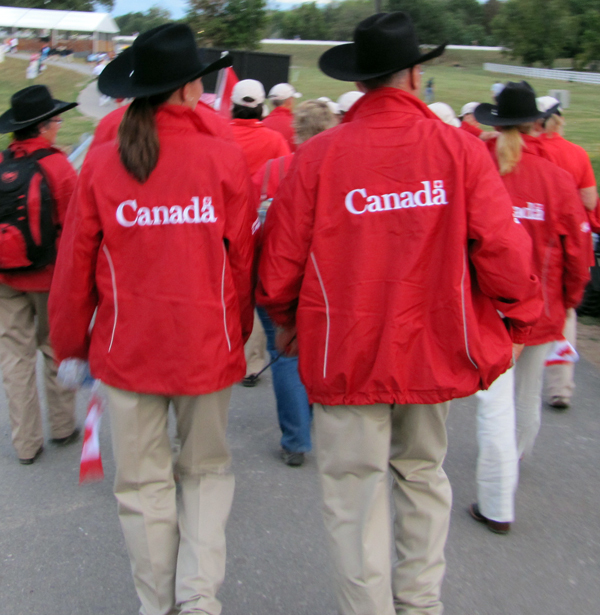 In the meantime, here are some pics including a pic from the Opening Ceremonies tonight which were fantastic! 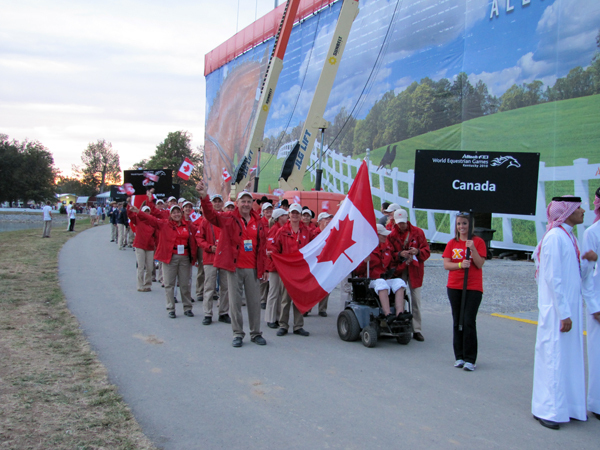 Our flagbearer, Para athlete Lauren Barwick, did Canada proud leading us into the big stadium to wild cheers from the many Canadian supporters who were there. 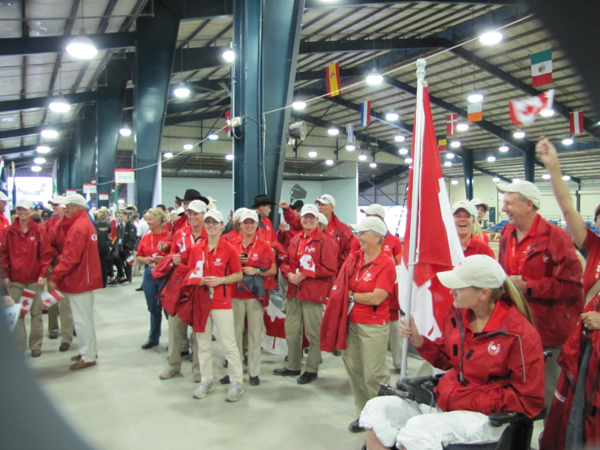 Many thanks to my Mom who went to Canadian Tire in Ottawa and scored a whole bunch of flags which the athletes and team members waved enthusiastically when entering the arena. 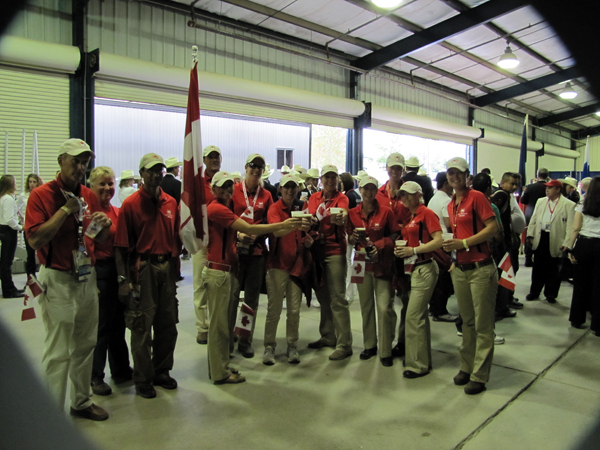 Canada was the only country aside from USA whose entire team were decked out with Canadian flags. 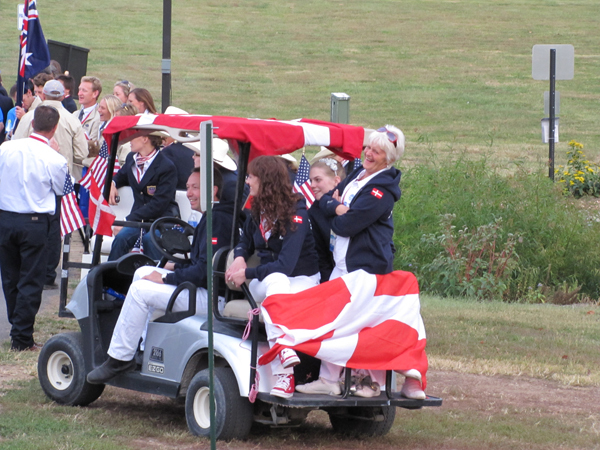 About to enter the main stadium! 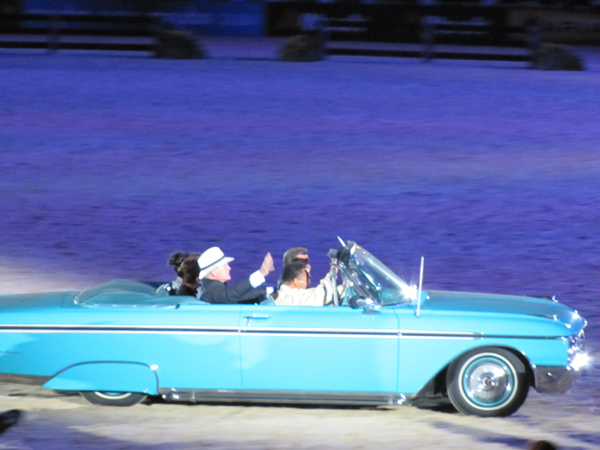 Sport's legend Muhammed Ali gives the main stadium a proper christening of greatness - let the games begin!! What great pictures! 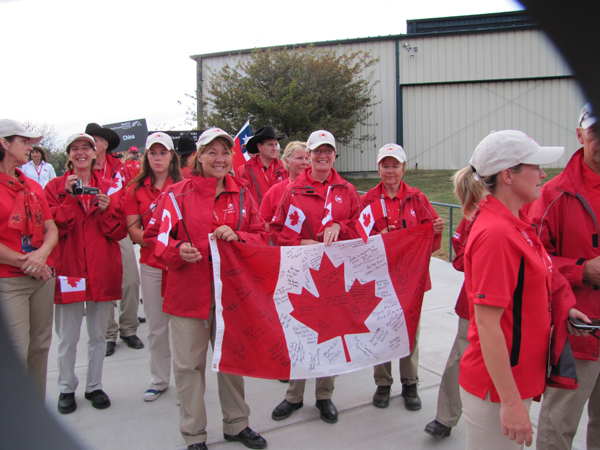 Loved the display of “Canadian Flags” – proud to be Canadian. Looking forward to reading about all the medals we will be bringing home. See you in the next blog entry.